It’s been a year so let’s Play Ball! Running with the Big Boys! Well it’s been over a year since Colin had DBS surgery and I’m so happy to say he is better then ever! 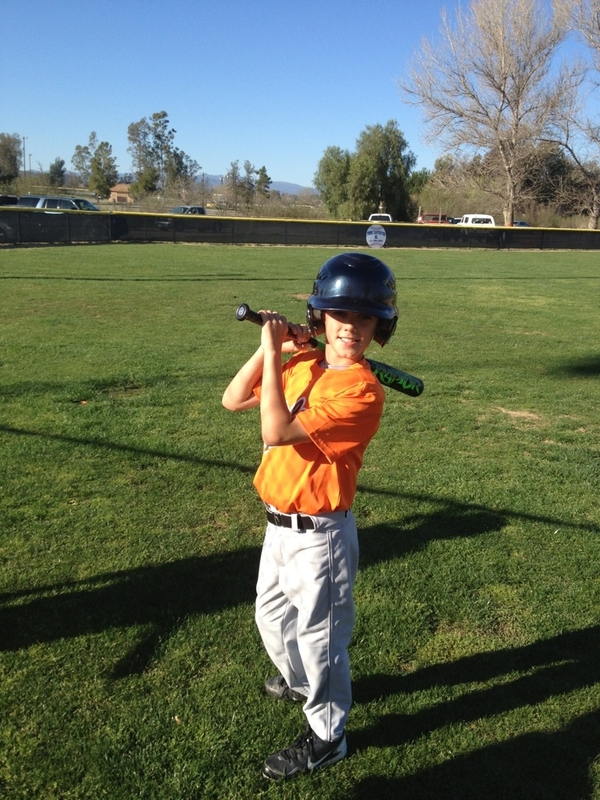 He signed up for baseball and is enjoying every minute of it. 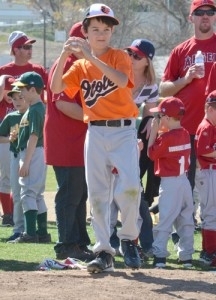 It’s hard to believe that this time last year he was in a wheelchair and could not play baseball. Colin had additional programming in March and they did a complete work up as we had noticed some areas not improving. What we found out was that the pulse width and frequency was up too high. They turned down both, and now he is doing so well and it’s so exciting to see. He even told me today that he only feels a slight twitch every now and then in his arm and foot. This is something that I don’t even notice and I don’t think he usually does either. We are scheduled to go back in 6 months. Since Colin is doing so well and just being a normal kid again I may not be posting as much. However, I do hope that this blog of Colin’s journey helps give hope to other families and children that might be struggling with Dystonia or the decision to have DBS surgery. Thanks so much for being a part of our lives this year and as we move into the next! Colin had some additional programming on December 5th. We are still working on minor twitching and fine tuning but Colin is doing fantastic! They increased his voltage to 3.5 and told us to wait 2 weeks and if we did not notice a difference they gave us the ability to adjust his setting for an even longer pulse width. We have since changed to the increased pulse width setting and are in the process of increasing the voltage back up to 3.0 very slowly. 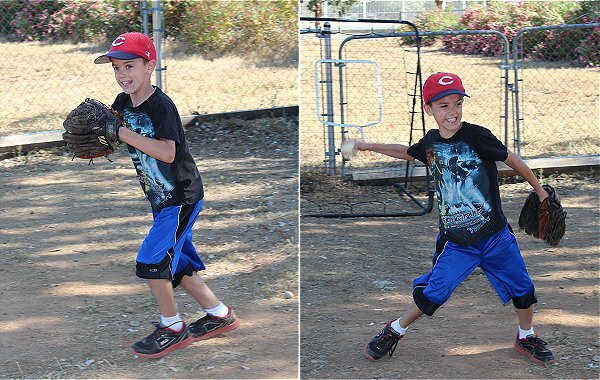 Although we continue to work on the fine tuning and muscle twitching, the fact that Colin has the ability to walk and run and even play sports is more than we could have hoped for. We are confident that in time most of his additional muscle movements will be even better. Colin had a great Christmas and is excited for the New Year. Colin is set for his next programming appointment on March 3rd. Next up, Baseball sign-ups! 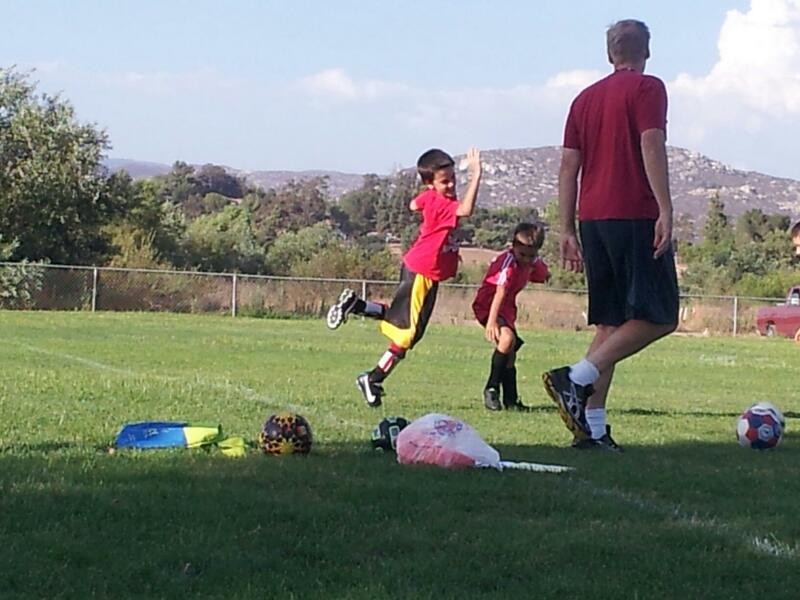 This is a photo of Colin running on the football field with his brother. He was invited by the team to run through the tunnel in support of all that he has been through this past couple of years. 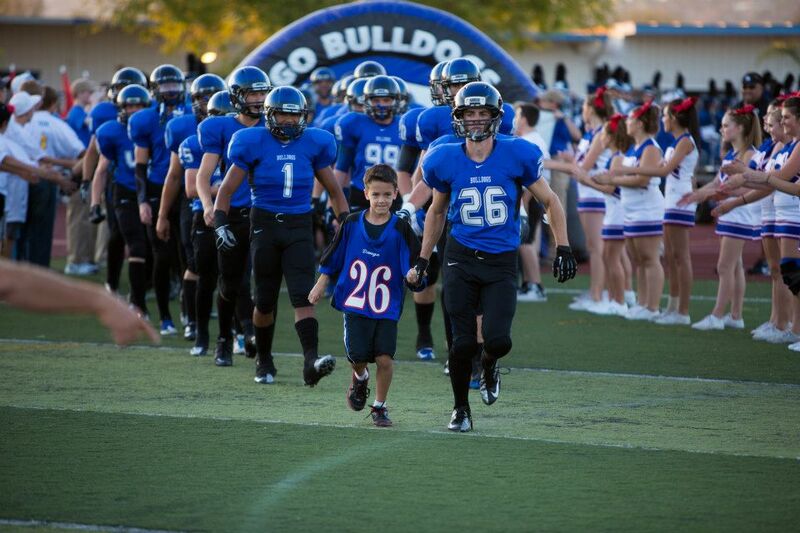 Colin was so excited to be on the field with the varsity team during their home opener and so were we. This was such a special moment for him since he has such a huge love of the game and being on the field feels like home to him. Seeing him run with the big boys brought us such great joy knowing that he can do this now…he can walk and he can run! Colin was in San Francisco on September 5th for some additional programming. They increased the pulse width on his simulator which allows for a longer duration of electrical impulse to his brain. They also lowered his voltage back down to 2.5 so that we could see if this would help at a lower voltage. They also allowed for the remote that we have to increase him all the way up to 3.5 if needed. This gives us quite a range to increase the volts prior to his next visit which is set for December 5th. The programming seems to be working well and we plan to increase slowly only as needed. Again there are still some minor muscle movements, but they seem even less now. We will continue to post on his progress and programming as we continue this journey. 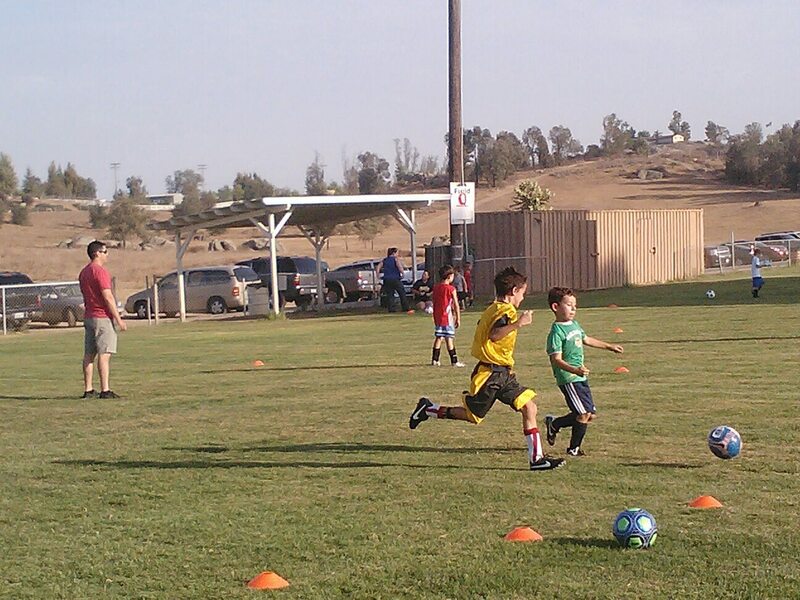 Soccer season is in full swing and we are so excited to see Colin run better than he has in over a year! He is completely off all medication and his voltage is set at 3.0. 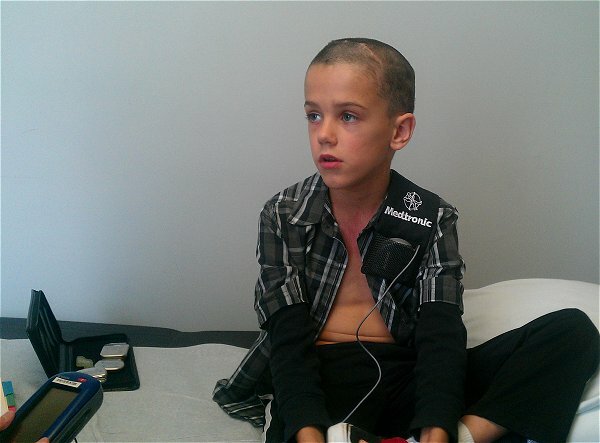 He has been receiving stimulation from the DBS system for almost 4 months. He has an apt. to see Dr. Starr on September 5th and we hope that some fine tuning with his programming from this visit will help his muscle twitches that are still occurring. These twitches are very minute and only we are able to notice them. We are still working on his writing ability, but the arm twitching is definitely better. We can t put into words how happy we are and how thankful we are for the DBS surgery. School starts in about 2 weeks and Colin is ready for a great year .and so are we!!! Hope all of you are enjoying your summer so far. 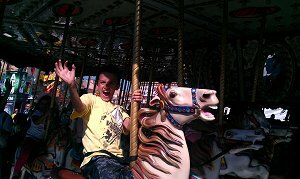 The above photos are Colin enjoying the Fair. We were just so excited that he was able to walk the entire fair grounds all day with no problems at all! This was his first time out walking around for this length of time in over a year…He was so happy. Colin is also enjoying swim lessons and is trying really hard to get the swim strokes down, he is having a blast this summer. Next up will be soccer sign ups. 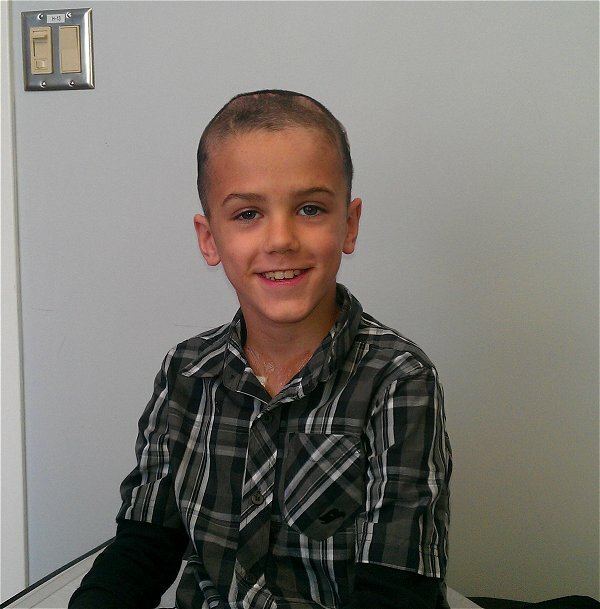 Colin had a follow-up appointment with Dr. Starr on June 13 to adjust the stimulation settings on his DBS. We had noticed prior to the visit that he seemed to be having some reaction to the stimulation causing some mouth movements that were not there prior to turning up the settings. We reduced the voltage to 2.6 and then Dr. Starr’s team split the voltage that was going to 2 contacts to now 4 contacts. They also reduced one side back down to 2.0 as they agreed that he was probably being a little over stimulated. They are having us up the voltage very slowly to try and help the additional areas of his arms and left leg that still have some movements going on. We have also started to reduce his medication and he is almost completely off the medication Baclofen. We will continue to update on any changes. Hoping he will be able to write better by the time second grade starts. His next appt. is set for September 5th. 4 weeks turned on and Playing Ball! We waited a little while to update the blog as we’ve been kind of holding our breath, but we can’t deny it any longer. He is walking, running and playing ball! Colin has been receiving stimulation from the DBS for 4 weeks now and is doing great. We have been upping his voltage and now he is at 2.7 volts. The UCSF team wants us to get him to 3 volts prior to our follow-up visit on June 13th. We are so thrilled with the results and Colin is too, but there is still some uncontrolled movements in his arm (he is still unable to write), feet, hip, and his walk is still slow. We are hoping to get better control of this with some fine tuning during his programming in June. 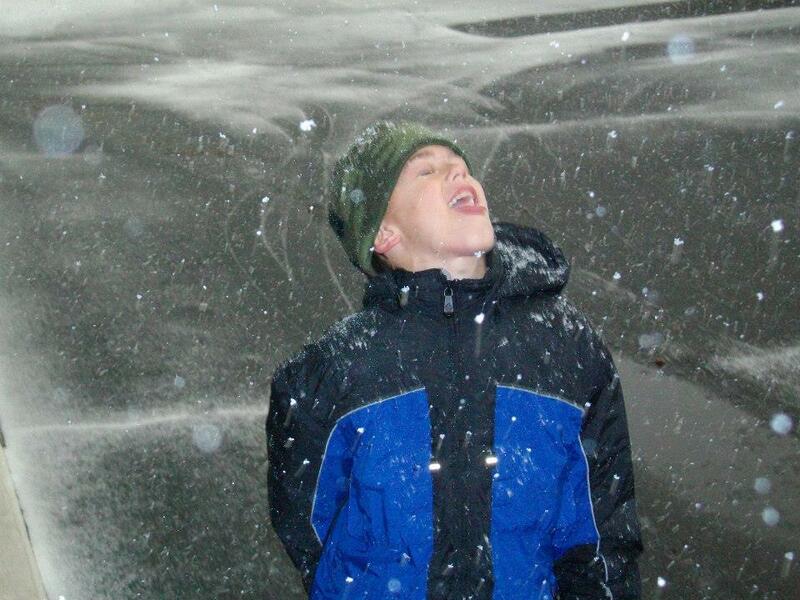 You probably wouldn’t be able to tell Colin had dystonia if you did not know him and we couldn’t be happier! Dr. Starr is a Star and we are so grateful for his phenomenal ability to perform this surgery. 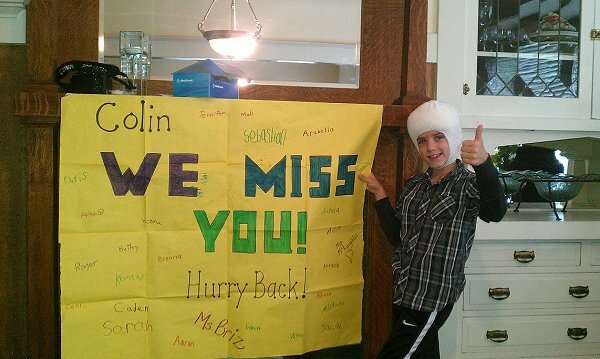 Thank you all for following Colin’s progress as we continue to update the blog as we go! We couldn’t have made it this far without Dr. Starr, his team, and all of your positive thoughts and prayers. We can’t thank you enough! Today was the final day at the Dr’s office. He got his third head turbin replaced and bandages removed from his chest, and first programming done. Left: Colin with implanted boxes in his chest. Center: The boxes that were implanted in each side of his chest. The inner wire as shown is the lead that was implanted into the brain. The outer larger lead is the one that goes from the connector at the top of his head down to each box in his chest. Right: Shows the scale of the box. The boxes aren’t huge, but because Colin’s chest is so skinny it makes them look huge. PROGRAMMING: This was the final leg of today’s visit and probably the most important. It actually went very well! We learned today that Colin has a very high threshold for the voltage into his head. This is a very good thing because it means he has a lot of distance before side effect, plenty more in fact then he will need in order to get to full benefit. He was able to tolerate over 6V, while 2-4 volt is all that is ever required. Many do not get to full benefit because they are limited by their own body’s natural ability to tolerate the voltage. If they cannot tolerate the peak voltage required to curb the symptoms, a balance must be set thereby compromising the benefit. Colin is now set for 1V in each lead. Starting Friday night, we will begin to increment the voltage up?by 100mv (or .1V) every night until either satisfactory benefit is reached or the 3V limit, whichever is first. Our first appt is set for 1 month out where we will come back to SF and get final signoff, acheive a finer dial-in to programming, and if needed get a higher voltage threshold setting above the 3V limit that is currently set. To all my friends, THANK-YOU! In Colin’s words (edited by mommy and daddy). Whew it has been a long month, we’re almost done with all of this and I am so relieved!. Really looking forward to getting back to my home, my dogs, cat and especially my brother, sister and all my friends, family and classmates! I want to thank everyone for all their posts on my blog and for the cool things I received in the mail like care packages, letters from all my classmates (a couple of times), gifts, and this super cool poster! You all have been there for me throughout and continued to stay with me and it really means a lot and helped me through all of this more than you can know. Colin’s final surgery to implant the battery packs was a success. His surgery lasted approximately 2 hours. This surgery was a little more painful then the last as they had to tunnel in the wires from his brain stimulators, to behind his ears, neck, chest, and finally down to the battery packs which has caused collective pain in all three areas. 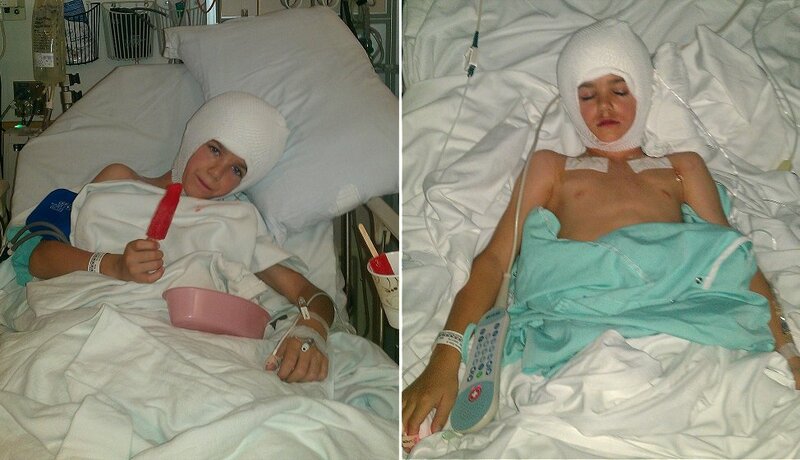 He has 5 incisions as a result the large across the top of his head, two incisions behind the ears (one behind each ear), and two across the upper part of his chest (one for each box). As you can see in the photos he has a new head wrap and patches where the batteries were placed, that he has to wear for a week. We are looking forward to the programming process to begin and to see the initial relief of symptoms. They turned on the stimulators immediately after surgery but at the lowest voltage setting (0.5V) to begin brain acclimation, there is no relief of symptoms at this point. 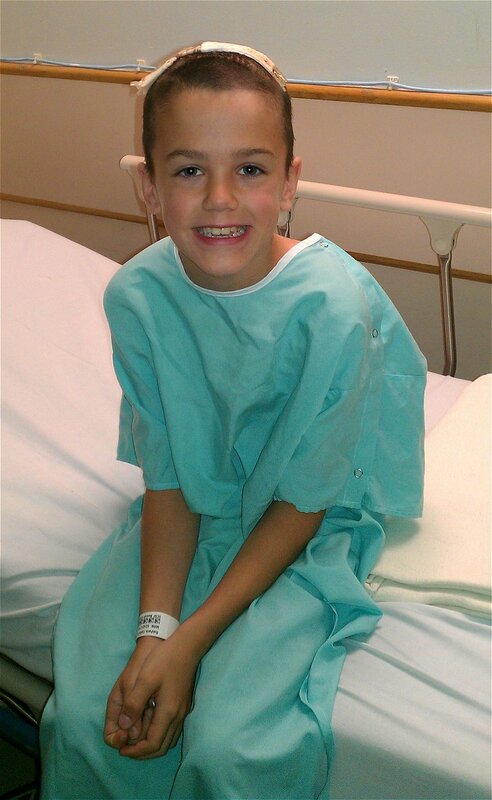 It won’t be until 4/26 when all bandages, staples and stitches are removed that he will get his first programming and hopefully see some improvement, but not the likely case as it usually it takes 1 – 2 months to see noticeable improvement with Dystonia. More updates to follow! 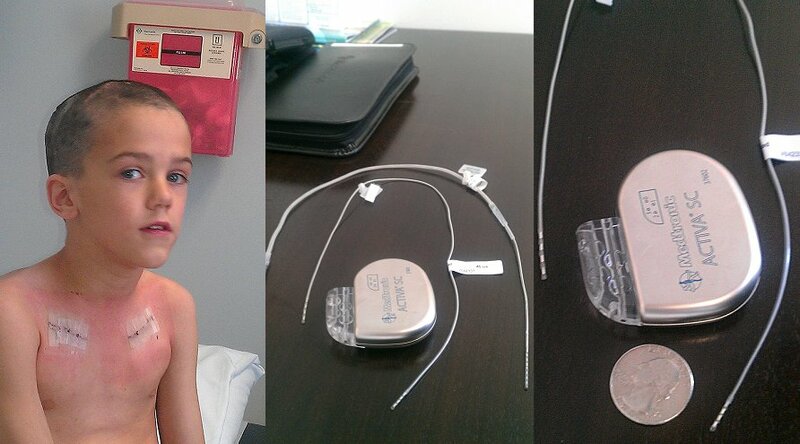 This is a photo of Colin pre surgery to implant the battery packs in his chest. We arrived at the hospital at 5:30 a.m. and surgery began around 8:00 a.m. He was so happy to get the bandage wrap off of his head as you can see by his huge smile in this photo. He will be having 2 battery packs placed just below the collar bone on each side of his chest. Dr. Starr also told us that he would be turning the system on so that he can begin the stimulation process. The surgery will take about 2 hours. Denise Moe (Aaron's mom) on Merry Christmas and Happy New Year! Kristy Whigham on Running with the Big Boys! Denise Moe (Aaron's mom) on Happy Summer! Tammy Harrison on Happy Summer! Conner Setterberg on Happy Summer!